Spice Girls, standing-up news presenters and saucy late night programming - the UK's fifth terrestrial channel is 20 years old. Launching at 6pm on Sunday 30th March 1997, Channel 5 promised to offer viewers a fast paced alternative to the existing four terrestrial TV channels. The project to launch a new terrestrial channel was years in the making - original bids for the licence earlier in the 1990s, including one from Silvio Berlusconi and one from Thames Television based around a city TV network failed to gain any traction. 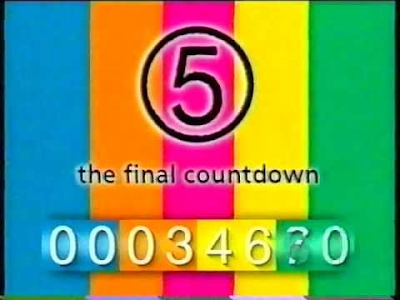 Once launched, almost 2.5 million viewers tuned in to the first programme broadcast by the channel - This is 5, featuring the Spice Girls singing a re-written version of Manfred Mann's hit "5-4-3-2-1" as "1-2-3-4-5". Presenters Tim Vine and Julia Bradbury then previewed what viewers would be able to see on the channel. Channel 5's news bulletins broke tradition by introducing standing up news presenters bringing a more informal look at the day's news, a look that has since been mimicked by rival broadcasters. Viewers expecting anything highbrow were in for a disappointment: a naked Keith Chegwin symbolised everything that was trashy in the channel's early years. But only around 65% of the UK was able to watch the initial broadcasts from Channel 5, with the broadcaster assigned to fewer transmitters and broadcasting in the frequency range traditionally used by video recorders. Millions of homes were visited ahead of the launch of Channel 5 as part of a massive retuning exercise to ensure VCRs were retuned and households were ready to receive the signal. In some areas, terrestrial transmissions didn't begin until several months after Channel 5's launch. In an effort to boost coverage further, Channel 5 became the only terrestrial channel to launch on Sky's analogue satellite service, where it was available at no extra charge to viewers, but encrypted to stop reception overspill outside of the UK. The arrival of digital television continued to increase reach, but it wasn't until September 2009 before a frequency change on Freeview meant that Channel 5 would be available to all terrestrial TV households following digital switchover. In 2002, Channel 5 was rebranded as "Five" as part of a move to get viewers to reappraise their opinion of the channel, which had dropped some of the tacky programmes it had become known for in its early years. In 2004, the channel enjoyed its highest annual audience share to date, at 6.6%. By 2005, Germany's RTL was in charge of the channel and in 2006, Five launched two digital offshoot channels, originally named Five Life and Five US. 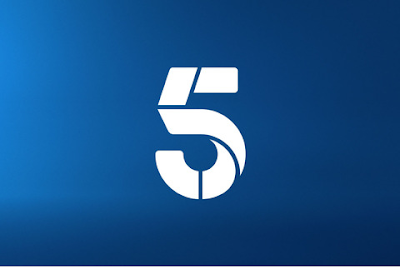 During 2010, Five changed hands again and became part of Richard Desmond's Northern & Shell media empire and the channel was rebranded back to Channel 5. The change in ownership saw the channel move back downmarket with tabloid links to Northern & Shell's Daily Express and Daily Star newspapers and OK! magazine. The channel reintroduced Big Brother to UK screens, after Channel 4 had ditched the programme. Evening schedules began to be filled with numerous documentaries about benefit claimants, bailiffs and immigration. In 2014, US media giant Viacom took over the channel and started to take the channel in a new direction, which has seen Channel 5 become integrated with Viacom's brands including MTV, Nickelodeon and Comedy Channel. New branding, a free-to-air HD channel, revamped news and weather and more money for original programming has been the result. It's been a turbulent childhood, but the channel is now entering maturity and stablising: Under Viacom's stewardship, Channel 5 finally has an owner that's experienced in the changing media landscape with strong channel brands and many opportunities to cross promote content across channels and social media platforms, plus a significant financial clout to fund more original programmes of interest to UK viewers. It may never gain the same status as its four terrestrial rivals, but now has a viable chance to compete in a rapidly changing media landscape.